At loveFOOD, we get sent new cookbooks on a daily basis and this year there’s been a bumper crop to inspire, teach and make us hungry. As Christmas approaches, we’ve picked our favourites that’ll make brilliant gifts for budding bakers, spice fanatics or wordsmiths who like nothing better than to curl up on the sofa with poetic food prose. Or, after all the festive prepping, treat yourself to something for the new year. Food52 Genius Desserts: 100 Recipes That Will Change the Way You Bake by Kristen Miglore (£25): Great for novices and more adventurous bakers alike, this book contains 100 recipes from the crème de la crème of the baking world. Master basics like chocolate chip cookies or learn to make perfect pastry. #Bake For Syria curated by Lily Vanilli, Clerkenwell Boy and Serena Guen (£25): A brilliant book for a worthy cause, #Bake for Syria brings together some of the world’s top chefs to create Syrian-inspired pastries and baked goods. There are tahini brownies from Ottolenghi, Dominique Ansel’s pistachio and rosewater bostock and Nigel Slater’s three cheese za’atar rolls. All of the proceeds go to Unicef’s Children of Syria Appeal. The Nordic Baking Book by Magnus Nilsson (£29.95): Part recipe book, part food documentary, the latest book by legendary Swedish chef Magnus Nilsson captures the Nordic obsession with baking in a beautiful coffee table tome. Know a bun fan? Good, there are 15 different varieties to try. A Table in Venice: Recipes from my home by Skye McAlpine (£26): Dive into Venetian culture and recreate a slice of the Italian city at home. Tempting photography and even more tempting recipes await – almond paste croissants, linguine with asparagus and prosecco, and courgette pizzette. 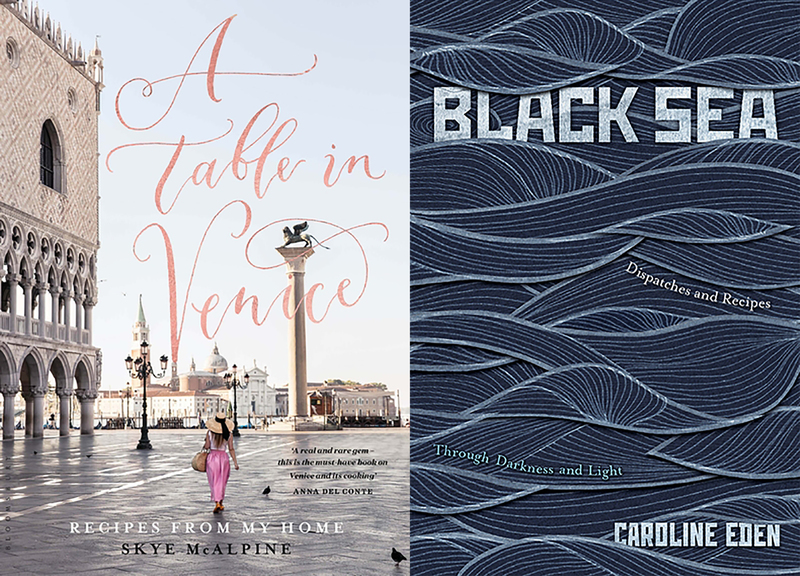 Black Sea: Dispatches and Recipes Through Darkness and Light by Caroline Eden (£25): Evocative travel writing and recipes will take you on a journey through the Black Sea region from Odessa in Ukraine to Turkey. The book seamlessly weaves stories about the region and its people with dishes like herb-flecked cornbread, black onion soup and Black Sea börek. Zoe’s Ghana Kitchen by Zoe Adjonyoh (£25): Traditional Ghanaian recipes are remixed for the modern kitchen. The book, by the chef behind London’s popular street food stall and pop-up of the same name, introduces regional ingredients and dishes from the West African country. Try pan-fried tilapia with a shito chilli marinade or give lamb cutlets with peanut sauce a go. Zaitoun: Recipes and Stories from the Palestinian Kitchen by Yasmin Khan (£26): Human rights campaigner turned food writer Yasmin Khan celebrates Palestinian flavours, dishes and culture, sensitively navigating Palestine’s political situation. Explore the regional differences through recipes like mussakhan (roast chicken with sumac) from the West Bank and kibbeh (stuffed meatballs with pine nuts, lamb and pomegranate molasses). Berber & Q by Josh Katz (£25): Fire up the grill for Middle Eastern-inspired barbecue recipes with an emphasis on bold flavours and punchy sides. 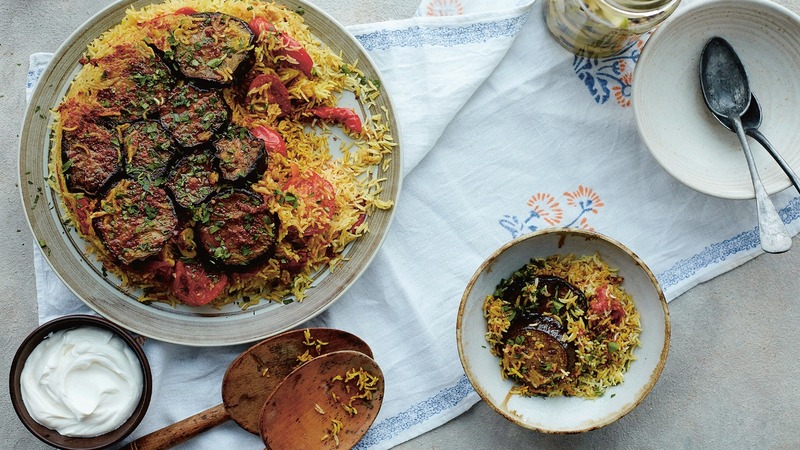 The book encourages burning and smoking (the good kind) to create dishes like blackened tahini aubergine, charred saffron and turmeric chicken thighs and whole cauliflower shawarma. Season: Big Flavors, Beautiful Food by Nik Sharma (£26): If you know someone who likes their food with a whack of heat, hit of aromatics and a zing of citrus, Season is for them. Nik Sharma’s debut cookbook features incredible Indian-American recipes like curry leaf popcorn chicken, margherita naan pizza and spicy chocolate chip cookies. 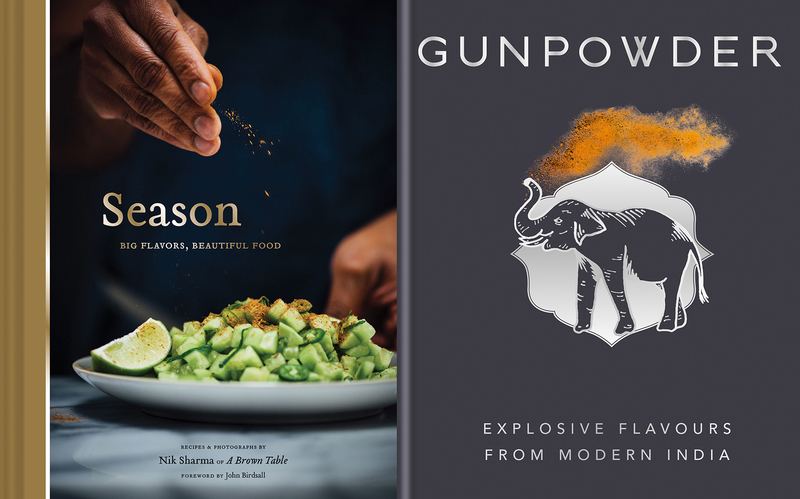 Gunpowder: Explosive flavours from modern India by Devina Seth, Harneet Baweja and Nirmal Save (£25): From the team behind the lauded London restaurant Gunpowder, the cookbook reveals recipes for their best-loved dishes (seek out the Kashmiri lamb chops and grilled broccoli) and beyond. It’s home-style Indian cooking at its best. Ottolenghi Simple by Yotam Ottolenghi, Tara Wigley and Esme Howarth (£25): Ottolenghi recipes are renowned for requiring niche ingredients and having complex methods but his latest cookbook pares everything down. It’s filled with, you guessed it, simple everyday dishes that are bursting with the same signature Ottolenghi flavours – butternut squash with grilled corn salsa, pappardelle with rose harissa and capers, and spiced apple cake. How to Eat: Vintage Classics Anniversary Edition by Nigella Lawson (£14.99): The anniversary edition of Nigella’s debut classic is ideal for those finding their way around the kitchen and confident cooks alike. The recipes celebrate eating, appetites and, of course, the cooking queen’s seductive prose, describing roast chicken, Marmite sandwiches and all the good food in between. Cooking on a Bootstrap by Jack Monroe (£15.99): Social campaigner and food writer Jack Monroe’s essential cookbook is filled with over 100 simple budget recipes that don't compromise on flavour. Breakfast, lunch, dinner and dessert is covered. We like the sound of the creamy cannellini and fennel pasta, and the double chocolate Guinness brownies. The Green Roasting Tin by Rukmini Iyer (£16.99): This does what it says on the… tin. The book is a one-stop shop for vegan and vegetarian recipes that can be cooked in one roasting tin. Midweek dinners will be transformed with easy, throw-it-all-in dishes like miso aubergine with tofu, sweet potato Thai curry and parsnip panzanella. Mildred’s Vegan Cookbook by Dan Acevedo and Sarah Wasserman (£26): This extensive cookbook is great for vegans who want to recreate traditionally meat and dairy-based dishes, in an animal-free way. There’ll be a little extra work and specialist ingredients required but cooks can make ‘the full vegan’, ‘chicken’ and waffles, and pavlova. Planted: A chef's show-stopping vegan recipes by Chantelle Nicholson (£25): Hearty, creative plant-based recipes are on the menu in Planted and the majority of dishes (the baking section is an exception) won’t require any specialist ingredients. Indulge in caramelised banana French toast, aubergine tartlets and dark chocolate mousse. How to eat a peach by Diana Henry (£25): You can always count on Diana Henry for so much more than a book of recipes. How to eat a peach is structured around different menus, each inspired by special moments in Henry’s life and evoking different moods. You could end up in San Francisco with pink grapefruit and basil ice cream or by the beach with crab and homemade mayonnaise. Bread & Butter: History, Culture, Recipes by Richard Snapes, Grant Harrington and Eve Hemingway (£22): A baker, a butter maker and a food writer come together to write a love letter to two foods that have graced our tables for centuries. As the title suggests, the book is as much about the history and culture of bread and butter as it is about recipes which celebrate the two. Expect well-researched, lively writing and dishes like sourdough treacle tart, butter tea, and brioche and brown butter ice cream. Feast: Food of the Islamic World by Anissa Helou (£45): Delve into the intricacies, history, culture and, of course, recipes of the far-flung places where Islam has spread since its advent. In a mammoth tome of over 500 pages, Helou traces the subtle but important difference in dishes like rice pudding and celebrates the rich culinary heritage of places like Aleppo in Syria, which today is more known for conflict than its namesake pepper. Lead image from Zaitoun Recipes and Stories from the Palestinian Kitchen by Yasmin Khan. Photography by Matt Russell.